On the Platinum West Rim Tour with Helicopter and Boat, you will have the opportunity to see some of the most spectacular sights in the Southwest United States. Start with complimentary hotel transfers to our terminal. After check-in and a light breakfast, your journey begins in a customized touring vehicle designed for comfort and sightseeing. Your professional driver will provide details of the history and landmarks of the southwest as you pass them. Enjoy a brief stop for viewing and photos at Hoover Dam en route to the canyon. Upon arrival at the West Rim, you’ll board a helicopter for a thrilling descent to the canyon floor. Follow a rugged trail to the banks of the Colorado River where a pontoon boat awaits. Relax amidst the serene environment as your guide provides details of the canyon’s history. Return to the rim via helicopter and board a shuttle to several stops to continue exploring. Visit an Old Western town offering entertainment and activities. Make your way to Eagle Point and see the naturally-carved stone Eagle sculpted within the walls of the canyon. Finally, stop at Guano Point to experience a 360-degree vantage points perfect for picture-taking. Enjoy a meal right at the canyon’s edge, surrounded by the spectacular landscape. 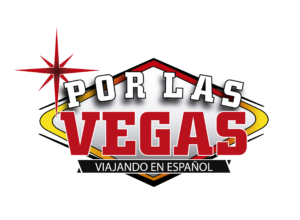 Your return to Las Vegas will be a comfortable and relaxing journey after experiencing the Grand Canyon from top to bottom.